Maintaining your credential is a key part of your commitment to your career and your profession. SHRM conferences provide efficient, cost-effective ways to earn recertification credits for a variety of credentials. The Activity ID for SHRM19 is TBD. The total available PDCs for this conference is TBD. These PDCs will auto-populate into your SHRM Certification Portal if you are a full conference attendee*, approximately one week after the conference concludes. To enable the auto-populate process, your SHRM certification login email address must be the same as your registration email address for this conference. For more information on recertification and how to enter PDCs, visit shrmcertification.org/recertify/steps. 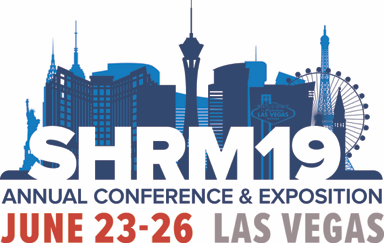 PLEASE NOTE: We recommend that you retain your onsite Conference Program for your records along with a copy of your registration as proof of your attendance at the SHRM 2019 Annual Conference & Exposition. *Full conference attendees are those who registered and paid to attend the entire conference therefore one-day registrations and press will not be auto-populated and will need to enter the Activity ID into their portals.